This article was extracted from Gold Eagle. When America was five-years deep into The Depression of 1933, the stage was set for an act of unprecedented proportions. History shows a wicked warlock at work. Just two days after Roosevelt was inaugurated as President, he proclaimed a "banking holiday". 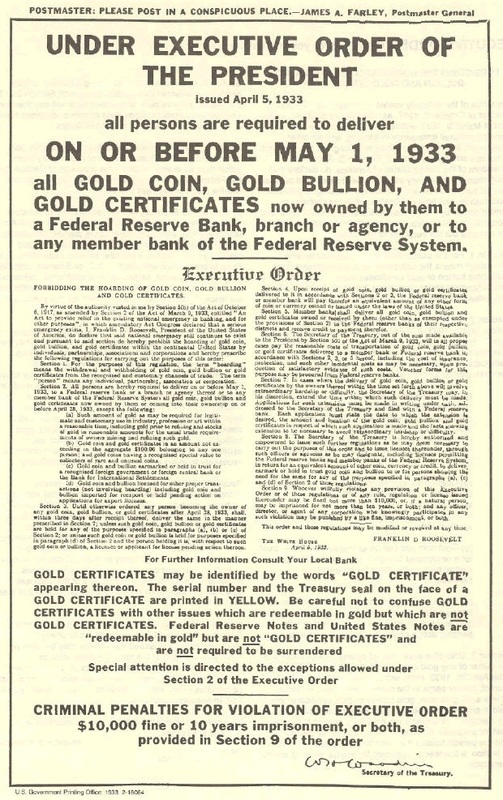 From and including Monday, March 6, 1933 to Thursday, March 9, 1933 no bank "would pay out, export, earmark, or permit the withdrawal or transfer in any manner or by any device whatsoever of any gold or silver coin or bullion or take any other action which might facilitate the hoarding thereof..." Sold to the American people as an attempt to control speculation and regulate interest rates, he closed America's banks, thwarting customers from withdrawing their paper money holdings or converting their holdings to gold. With a swish of his magic wand, Roosevelt mastered "complete control over America's banking system", expanding his Presidential powers exponentially in the process. In his first "Fireside Speech" (which burned the backside of many Americans) on March 12, 1933 Roosevelt declared "Let me make it clear to you that the banks will take care of all needs, except, of course, the hysterical demands of hoarders, and it is my belief that hoarding during the past week has become an exceedingly unfashionable pastime in every part of our nation. It needs no prophet to tell you that when the people find that they can get their money -- that they can get it when they want it for all legitimate purposes -- the phantom of fear will soon be laid. People will again be glad to have their money where it will be safely taken care of and where they can use it conveniently at any time. I can assure you, my friends, that it is safer to keep your money in a reopened bank than it is to keep it under the mattress." On June 16, 1933, EO 6073 passed into legislation as the "Emergency Banking Act (EBA)". After only 40 minutes' debate in the House of Representatives, with an unknown author and no printed copies available for members of the House, the Bill was passed swiftly and without due process. The wand was waved again. At the time, Congressman Lundeen, appalled at the reckless lack of due process involved in the passing of this Bill said "I want to put myself on record against procedure of this kind and against the use of such methods in passing legislation affecting millions of lives and billions of dollars. It seems to me that under this bill thousands of small banks will be crushed and wiped out of existence, and that money and credit control will be still further concentrated in the hands of those who now hold the power.... I am suspicious of this railroading of bills through our House of Representatives, and I refuse to vote for a measure unseen and unknown." The U.S. Mint states that 147.3 million ounces of gold are now tucked into Fort Knox. Guarded by Apache helicopter gunships and tucked into a bunker with a bomb-proof roof and thick granite walls, you'd think that 147.3 million ounces of gold would be safe in the vault. While Treasury officials insist that the "gold is all there", why the resistance to a public audit? Congress begs off, saying it will cost US$60 million to test the gold. Other figures bandied about suggest US$15 million. Other so-called experts contest both figures, stating that an independent audit and assay could be conducted for as little as US$15,000. More nefarious are that the numbers don't add up...and never have. In his article The Great American Disaster: How Much Gold Remains In Fort Knox?, dated August 27, 2010, Chris Weber states that, at their peak in 1949, the Fort Knox reserves reputedly numbered 701 million ounces - 69.9% of all the gold on the planet. The latest figures reported by the U.S. Mint state that 147.3 million ounces of gold are now tucked into Fort Knox. Treasury subsequently downgraded this figure from 264 million ounces of gold, a decline of 79%! Lucy, you got some 'splainin' to do. Clearly, the road to - and from - Fort Knox is paved in gold and not-so-gold intentions. Tales of pillaging, profiteering and skullduggery abound at the crossroads of Bullion Boulevard and Gold Vault Road. Masked interlopers didn't rob the USDB. Reputed to be the second most secure place in the world (as reported in The Blogington's post of September 21, 2010), the video cams, armed guards, attack helicopters, armored personnel carriers, and 30,000 soldiers guarding Fort Knox guaranteed that. For over 50 years, while domestically it was a crime to hold gold, there is little doubt that well-heeled Americans - and America's enemies, operating offshore, were able to procure gold at the bargain basement price of $35/ounce. Not surprising that Fort Knox's 22-ton door is locked to an audit. For almost 40 years, no visitors have been allowed in the grounds of the Gold Depository. Considered one of the eight most secure places in the world, we're not getting in for a sneak peek anytime soon. In the last recorded "audit", in the early 50's, a group of Congressmen and Senators were taken on a quick tour of Fort Knox and allowed to peek into a few vaults. They reported seeing "orange-hued gold bars". Lucy, you got more 'splainin' to do. "The only audit that has ever been done of the gold inside Ft Knox was done days after Dwight Eisenhower became President in January of 1953. After 20 years of Democratic presidents, the American public wanted to be sure that the gold confiscated from them was still there. Thus, the new President ordered an audit within hours after taking office. If the audit was accurate, the fact remains that almost 80% of it went overseas in the coming years. If the audit was not accurate, the amount of gold lost could have been even more." of the gold and no other public "inspection" has been allowed since then. Why won't the Mint comment about how much gold is there? Perhaps the acid test is not so much as what has happened to the gold in Fort Knox; but rather is there gold in Fort Knox? And if so, how much.....or how little? In a feat worthy of The Great Houdini himself, the Fort Knox gold may be the World's Greatest Vanishing Act ever. There are other ways to take advantage of gold's next bull market that can add leverage and protection against a gold confiscation. One of the best ways is through the ownership of gold producing companies. 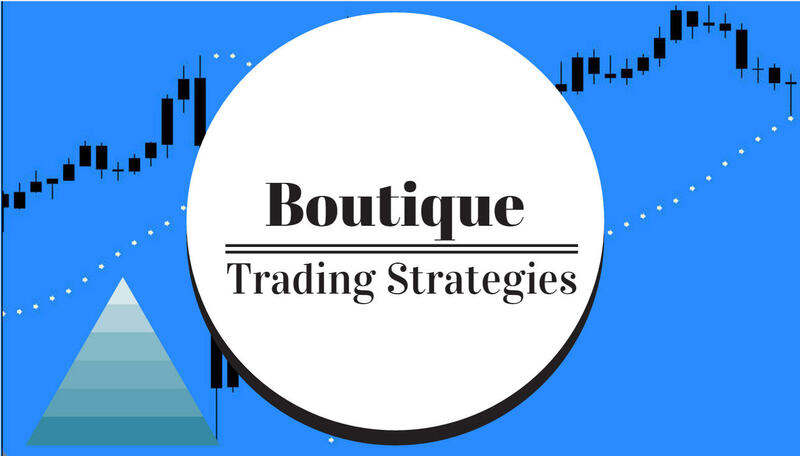 The key here is in buying the right companies as the right time within the market cycle.